The Kipper Institute of Immunology and Allergy at Schneider Children’s is participating in research to study the effectiveness of probiotic infant formula to prevent the development of allergy. The research will compare TEMPO probiotic formula and a standard milk formula in order to discover if the former assists in minimizing allergies in children with a family history of allergy. The two formulas given to infants are safe and age-adapted, contain all required necessary nutrients and fulfil the regulations for the optimal nutrition for the infant. 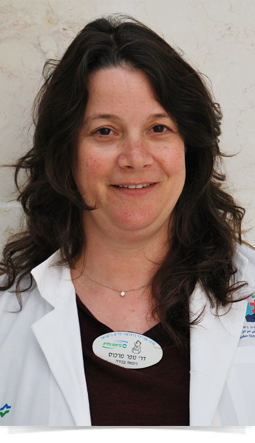 The study is being led by Dr. Nufar Marcus-Mandelblit, head of clinical immunology services. It should be stressed that mother’s milk is the best nutrition in the first stages of life. Unfortunately, not all mothers are able to breastfeed their infants as much as they would like or they choose not to. The best, safest and only substitute is scientifically developed infant formula. The research aims to study infants under 16 weeks of age who were born at normal birth weight and are at risk of developing an allergy due to family history (parents or sibling who have any allergy including skin, asthma rhinitis (runny nose) or food allergy). It will also include infants who have not yet received any standard infant formula (hyperallergic formula allowed). As part of the study, the infant will receive the research formula at no cost. The team of doctors in the Kipper Institute, headed by Prof. Avraham Beigelman, treats children suffering from allergies and immune system disorders. Within the framework of allergies, these mostly include asthma, allergic rhinitis, food and/or medication allergies, urticaria (hives), and bee and wasp sting allergies. Immunology deals with diseases of the immune system which can lead to recurrent infections. For further information, kindly contact the Allergy Clinic at Schneider Children’s, Tel. 972-3-9253652 and leave a message. The staff will return your call. You may also write directly to Dr. Marcus-Mandelblit at allergydermatology@gmail.com.